I have just finished a 5 day festival at Lindholme, and it has been a fantastic week, filled with great fishing and a great bunch of lads. I would like to thank Neil, Bev, and Aaron for been great hosts and thank them for there generosity for cooking us all a meal every evening. *This list was subject to change, should weather conditions dictate. Monday morning arrived and I was on my way pretty early, as I wanted to get there and get my tent up, so that I didn't have to do it after the match. The plan was to stay on site for a few nights and go home a few nights. After a breakfast it was draw time, peg 69 was to be my home for the day; this is a very good peg, and I could have done a little "jig" when I drew it out. On arrival at my peg I was delighted to see that there was very little wind affecting the peg. I decided to fish a method feeder to the right hand island as the method has started doing pretty well lately. I was also going to target the same area with a waggler. For the left hand island, I decided to go with a bomb approach as this has worked really well previously. I also planned to use the waggler on this line too. Pole wise I set up a shallow and deck rig for a line at 13 meters; I also set up a margin rig for the platform to my left. 6 mm pellets for the pole line, waggler and bomb. Micro pellets for the method and ground bait and corn or worm for the margins. I started on the method feeder, casting tight up into the cut out, close to the corner of the right hand island. It only took approximately a minute and the tip pulled round, I was into my first fish already, which was a small but perfectly conditioned F1. The first hour or 2 were fairly busy, but the fish were quite small. After swapping to the waggler I managed to hook and land 2 proper Carp, around about 4 lb a piece; this is usually a great method on this peg, but for some reason the fish just wouldn't settle. I had a go towards the left hand island, but this didn't produce either. I had been feeding the 13 meter line constantly during the session and my first look on the shallow rig produced a decent F1; I just couldn't get a run of fish from any line. With an hour or so to go I tried the 13 meter deck rig, and it was solid, I was now catching decent Carp at a good rate. Too little too late unfortunately! I ended up with 69lb 7oz for 3rd in section. My plan was to start on the Banjo feeder tight up to the far bank, as the wind was too strong to hold the pole and present a static bait. I also planned to feed a shallow line at 11 meters as I could hold the pole easily at this length. For a short line I decided to fish paste on the top 2 plus 2. I had a nice long margin to my right hand side, for targeting later in the match. On the Banjo 6 mm hard pellet for the hair rig and softened fishery micros for feed. For the shallow line 4 mm pellets for feed and hook, and try a 6 mm pellet for the hook every so often. For the short line, paste for the hook and some 6 mm pellets for feed. For the margins ground bait and corn or worms. I started on the Banjo feeder, casting tight to the far bank. The first 2 hours were relentless, I was catching a fish a bung, small F1's were the main species; but this line fizzled out, so I switched to the shallow line and had a good run of fish before this went iffy. I found that switching between the paste rig and shallow rig was the best way of keeping fish coming. The margins never produced anything. I ended up with 73lb 6 oz for 4th in section. I drew peg 2 which can produce good weights; the wind was right off my back, bonus! My plan was to start short on the pole, giving me chance to build up a shallow line, then switch to this. On the right hand side I had deep margins, so I planned to fish slightly beyond these, as the depth was pretty uniform and this would hopefully prevent me losing fish in the reeds. I planned to target the margins later in the session to my left in some shallow water, but this meant turning completely round as peg 2 is on a bit of a spit. 4 mm hard pellet for feed and hook for shallow. 4 mm pellet and corn for the short line. corn for the right hand side and ground bait and corn for left hand margin. I started on the short pole, but for me this was quite slow, other people around me were catching much quicker. So I decided to switch to the shallow pole, This made a difference as I was now catching really well. The problem I had was, the wind kept dropping, which meant I had a lot of calm water in front of me. When the wind got up and the water had a good ripple, I caught much better. As the wind dropped so did my bites. I had been feeding the line to my right with handfuls of corn, so I decided it was time for a try. The line was solid and I was now catching decent sized F1's consistently. As the line steadied up I switched back to the shallow line. I kept the fish coming by rotating between the 2 lines. I drew peg 26, which must be one of the most feature packed pegs on the complex! 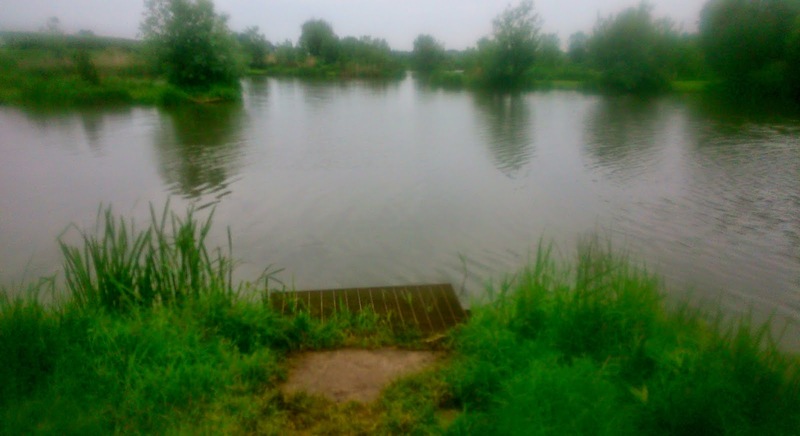 I planned to target the area close to the reed bed, which surrounds the front of the island with a deck rig. In the open water to my left I planned to ping pellets and fish both up and down in the water. I also planned to target the lovely looking margin to my left. Micro pellet and corn for the reed bed area, 6 mm pellets for the open water and ground bait and dead red maggots for the margins. I started the session close to the reed bed, and to say I had a nightmare start would be an understatement; 5 hook lengths gone in 5 drops in, due to fish giving me a proper arse kicking! After the first 2 hook lengths I geared right up. I cut the elastic back, so that I could hardly pull it out. But it's testament to how fit and strong these fish at Lindholme are; they still managed to drag me through the reeds and smash my rig to bits! I didn't re-set it up; enough was enough. 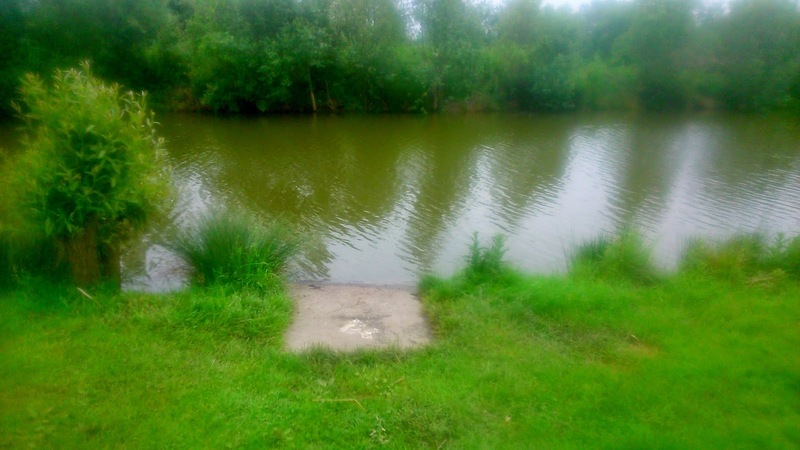 I targeted the open water to the left and had some much better success, as I managed to hook and land some fish, Yeha! I alternated between up and down in the water and this brought me a fair few fish. I wasn't catching loads, but it was better than getting smashed to bits. 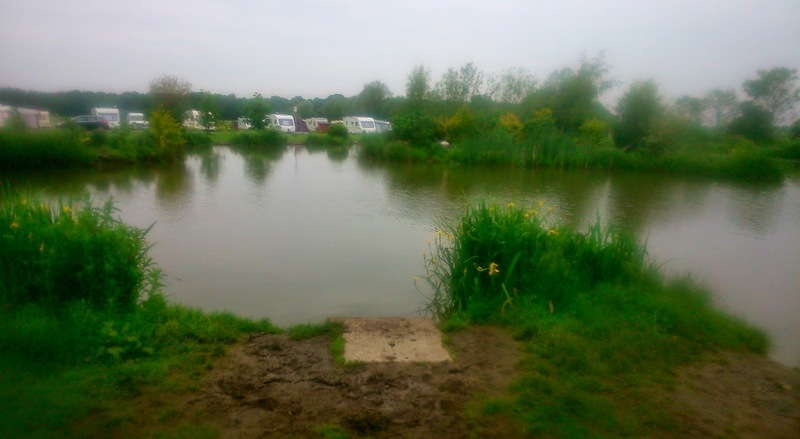 I fed the margins regularly with groundbait and dead red maggots and I kept trying it. I only managed to pick up a few fish off it. As the weather had been appalling beginning of the week, the newly sowed grass seed around Bennys' lake needed to be left alone. The lake of choice was Oasis as a replacement. I was pleased to draw peg 27, right in the far left hand corner, which gives you plenty of options. ( maybe to many!). My plan was to find a number a areas on the far side which had the same depth, so that I could switch between them should bites dry up on one. 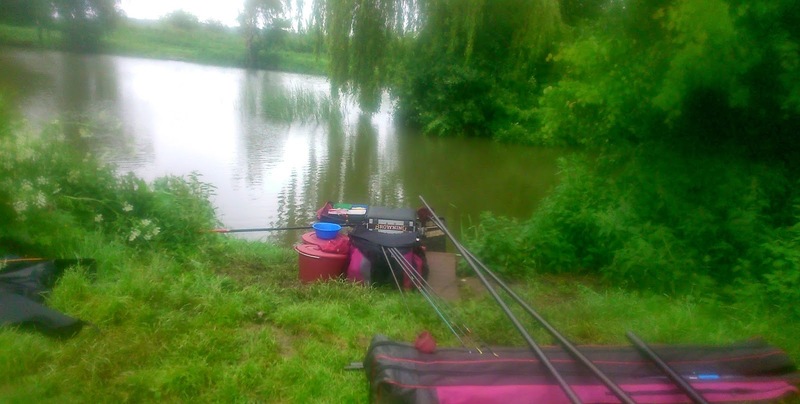 I also planned to fish shallow in front of a over hanging tree to the right hand side of my peg. For the margin I planned to target the plat form to my left hand side as this was vacant. Fishery micros for feed and banded 6 mm pellet for the far side. 4 mm pellet for feed and hook on the shallow line and ground bait and worm or corn for the margins. I started the session targeting the far side, feeding small clumps of micros through kinder pot, then lowering the rig over the top. I was straight in first put in and it was a decent carp. 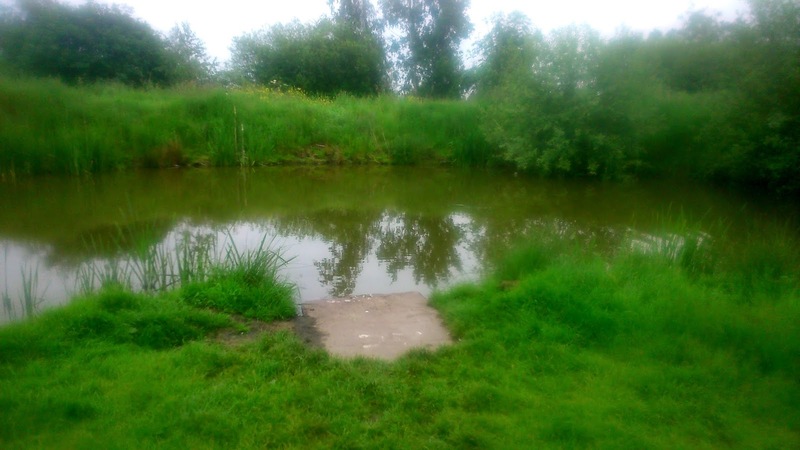 The second put it I got led on a right "merry dance", a Carp of around 10 lb, which I got one glimpse of ,when it came up close to the reeds to my left; it took me 3 pegs down the broke my hook length, as the elastic bottomed out. Bugger! I tried a few different areas of the far side but couldn't put a decent run of fish together. This prompted me to try the shallow line that I had been feeding constantly. This was what I needed, I was catching small F1's at a good rate. I spent the majority of the match on this line, with the odd look down the margin. I weighed in 68 lb 14 for 2nd in section and my best result of the week. I had a cracking week with a cracking set of lads; I also learnt a lot, which I hope will aid me in future matches. I would like to congratulate Ben Fisk, who won the festival with 4 section wins in the first 4 days.